Capri Italian Restaurant offers fine Italian dining in a comfortable and relaxed atmosphere. This stylish Italian restaurant has a full A La Carte menu specialising in creative Italian Cuisine. 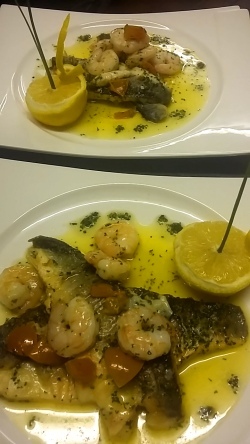 Our A La Carte menu has a great choice of Italian food, which of course includes not only freshly baked pizza and a good selection of pasta but also beautiful prime steaks, chicken, fish and fresh seafood. It is always supplemented with a varied choice of specials which change on a regular basis depending on what produce is seasonally available. These generally include fish and seafood dishes. All our ingredients are sourced locally for quality and freshness, and food is prepared to order on the premises. Our comprehensive level of service makes Capri Italian an ideal place for that special occasion such as a romantic meal for two as well as that crucial business lunch. We also cater for larger parties, including Anniversaries, Informal Weddings, Engagements, Birthdays and Reunions in our private function room for up to 24 people. All the staff at Capri look forward to welcoming you to our establishment and to making your occasion a special and memorable one.